Do you have a story for one of our upcoming themes? Contact us! To submit your story for consideration, send us a one paragraph synopsis of your story and a brief bio about you. The themes are meant to be interpreted from a broad range of perspectives. If you are shy about telling a story, we give lots of support and helpful hints. There is a rehearsal a week before the event to run through the stories, get feedback, meet the other storytellers and enjoy some munchies. To get on the mailing list for monthly announcements send an email with "subscribe" in the subject line to Stories@Odysseystorytelling.com. Everyone has stories from their lives that they love to tell. The act of sharing stories about our journey connects us to other people and in this way, the audience is a vital part of the event. 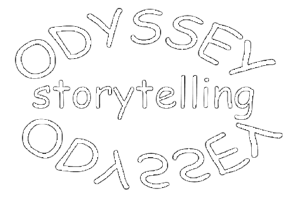 Odyssey Storytelling provides the container to bring together a collection of diverse tellers. "The great listeners live blessed lives, because they are surrounded by people under the influence of their listening - people experiencing a fundamental form of connection with others, people whose creativity and humanity have been invited to emerge."